Here at Kings River Life Magazine, we realize how important teachers are to the lives of our children and the future of our communities as they shape the leaders of tomorrow. Sadly, most of the best teachers work long hours with little recognition or thanks. Our goal here is to take a moment to thank as many of these teachers as we can—the teachers who make a difference. 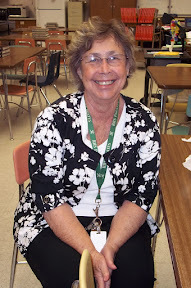 Joyce Huebert is one of those teachers who exceed expectations. In a sense, Joyce Huebert has been a part of Kings Canyon Unified School District (KCUSD) since first grade when she moved to Orange Cove from Oklahoma. She attended Orange Cove Elementary and then Reedley High School. Even for college she remained in the area attending Reedley College, Fresno State and Fresno Pacific University. Before becoming a teacher Joyce worked for the Ford Dealership, Growers Supply, Crocker Bank, Gus Janzen Accounting Agency and Huebert Farms. Her initial inspiration to become a teacher was her fourth grade teacher Mrs. Pickens, but she stated that it was the late Silas Bartsch who continually encouraged her to complete her credential to teach. Other classes she has taught through the years include Business Math, Recordkeeping, Accounting I & II, Information Processing, Keyboarding, Advanced Information Processing, Office Skills, Leadership, Child Development, Family Studies, and On Your Own. “I am blessed to have taught students in Kings Canyon Unified School District,” shared Joyce. “I was a re-entry student after 25 years and am truly blessed to have fulfilled a lifelong dream,” continued Joyce. Her typical day begins at 7 a.m. when she arrives to plan for the day. She teaches 6 periods with one period for prep, and leaves between 4 and 4:30 in the afternoon. In what spare time she has, she loves to read, travel and entertain, and serves as the Wedding Coordinator for her church, Full Gospel Tabernacle. T.L. Reed principal Ginny Zalky stated that Joyce is a dedicated and compassionate educator. Ginny has known Joyce since 1999 when they both worked at Sheridan Elementary School. “Her faith, integrity, and prodigious work ethic are the foundation of her professional and personal life. Joyce has a deeply rooted respect for learning and has worked diligently to ensure that every student she comes in contact with is given educational opportunities that extend beyond the classroom. Check out our other teacher and school staff profiles in the Exceeding Expectations section. You really captured Joyce. She is all those things and more. Kind, compassionate, caring and ALWAYS willing to lend a hand.